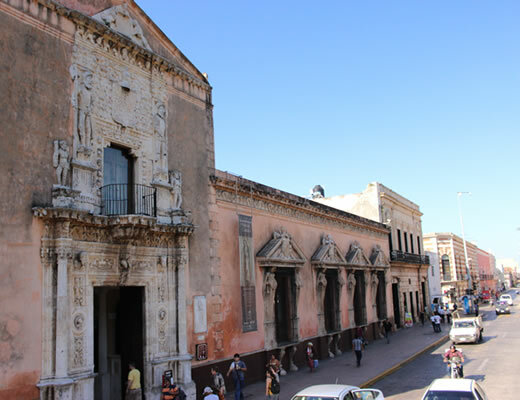 Merida City has a wide range of activities, both day and night; they go from a relaxing walk through its safety streets to enjoy the several events that happen every day in different and various locations close to the Historic Centre. 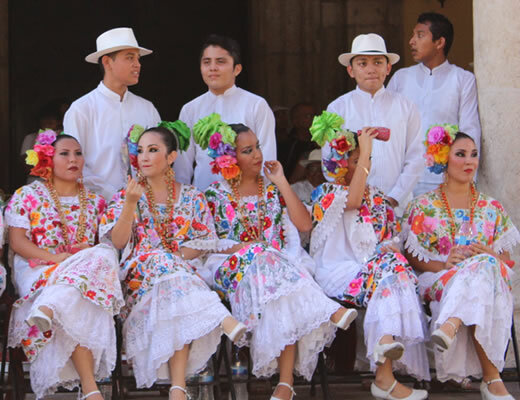 On Mondays, you can watch and enjoy the Mestizos and Mestizas’ dance in our traditional “Regional Vaqueria”, promptly at 9 pm, in the basement of City Hall. On Tuesdays, dances of 40´s are performed; they take place in the Santiago Park, while on Thursdays the Santa Lucia Park is the place where “Trova” happens, guitars and beautiful voices are joined to make the evening wonderful, it begins from 9 pm. On Saturdays, you simply cannot lose the “Traditional Mexican Night”, just in the top of Paseo de Montejo, where various artists are concentrated to make you have fun and a delightful night, foregoing while you enjoy and taste several kinds of food from our wide range of traditional dishes here in Yucatan and you can even buy some beautiful crafts. On Sundays, we have “Merida en Domingo” (Merida Sunday), at the main Historic Centre Plaza, we have shows for kids, Vaqueria and again our delicious and own food from the region around the entire place. If you’re looking for quieter activities, do not hesitate in visiting our museums, theatres and Yucatan beaches; if you are looking for something more natural, you can take a walk through the Centennial and Bicentennial Zoo, it is open from Tuesdays to Sundays with a schedule of 8 am to 5 pm. The Historical Centre of Merida City is undoubtedly the meeting point for local and visitor people, where during the day you breathe tranquility and in the night everything becomes into a party!. Here you can find several restaurants offering to you our traditional and varied Yucatan food, fast food, coffee shops, boutiques, food from other places, handcrafts and so much more. Enjoy a quiet and delightful afternoon when sitting in one of the Historical Centre benches, enjoying an ice cream or a natural juice made with fresh fruit; you can get them just on one side of the square. You can also visit the different churches, they are located around the place, with great historical value such as the museums which are close by too. 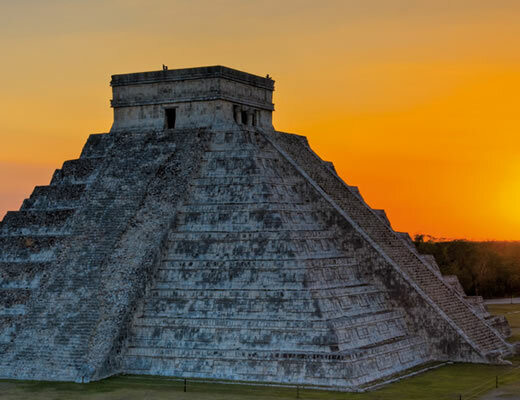 The biggest test of Mayan civilization, cradle of the Itza, the great city of Chichen Itza, is one of the most visited places until our actuality. It was built around 435 and 455 and becoming during its decay, in the first central state of the Mayans’ history. It counts with a wide diversity of structures which show and can test the Mayans’ extensive knowledge in astronomy and the worship of many gods, such is the case of the Kukulcan Castle, the Feathered Serpent, the most important pyramid and representative of this place, here is where year after year hundreds of people , locals and visitors, meet together to receive this deity which will provide them of positive energy and good vibes. 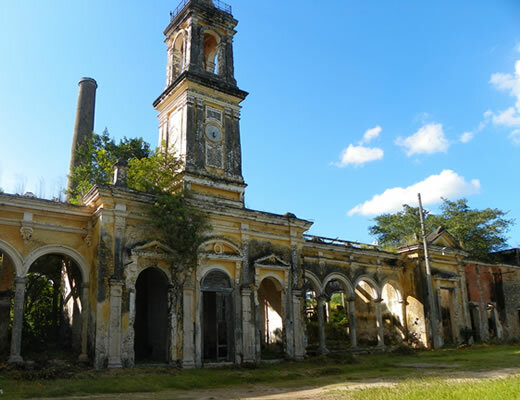 Witnesses of the colonial and henequen era of the Yucatan state, the haciendas aren´t just history corners, they are also the ideal place for a relaxing and isolated resting, being away from any kind of annoying noise or distraction from the city. They are prepared to have you as a special guest; their facilities are equipped with so much more than the basic services, such as comfortable accommodations and Yucatan food restaurants, massage services, suites with Jacuzzi and pool. Addition to the above, you can request them as ballrooms to make and arrange your private celebration and make it as special as a magical place where the old Yucatan history is involved giving to this a great touch of charm. © 2014 Negocios Web México | Travel Yucatan | All Rights Reserved.